Don’t get caught in the cold this winter with a failing Car Battery. The Gresham Quick Lane has you covered with a Car Battery Sale that won’t break the bank. Your engine is slow to start and sluggishly cranks when you turn the key over. If your car started fine yesterday and now there is no sign of life, here are a few things you can easily check yourself. Check your battery cables and posts. Are they secure? There should be no wiggle room. Are your cables frayed or falling apart? Is there a bunch of gunk on the terminals? Any of these can be the culprit keeping you from getting on your way. No worries. Gresham Quick Lane can get you on your way fast with FREE complimentary Battery Testing so you know for sure the status of your car battery. If you are in need of a new one, installation is always included and right now all car batteries are on sale! The Gresham Quick Lane is located at 1999 East Powell Blvd in Gresham and is OPEN weekdays 7 am to 10 pm and Saturdays 8 am to 4 pm for your convenience. No appointment is ever needed but if you would like to schedule one please contact us at 503-489-1621. Starting Wednesday November 1st, it is legal to install and use studded snow tires in Oregon. If you already have snow tires and just need to have them mounted to your current wheels and balanced – this special is for you. You never need an appointment at the Gresham Quick Lane. 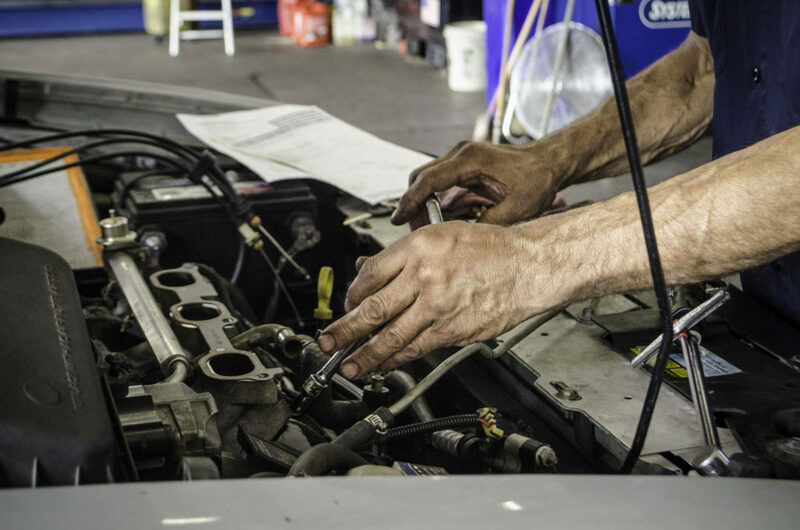 Our certified and trained automotive technicians are speedy and work while you relax in our remodeled waiting room with fast wi-fi, complimentary coffee and popcorn. For your convenience, the Gresham Quick Lane is OPEN until 10 pm weekdays and Open Saturday 8am to 4pm. Snow Tires are usually recommended when you drive in snow, ice, or freezing rain conditions. If you shelter in place with the Oregon Winter storms then you most likely will not need snow tires. However, if you need to make the trek into work no matter what the weather, you will most likely want snow tires to help keep you and your family safe this winter. The Oregonian recently reported that we should expect an encore performance of last year’s winter experience. The American Meteorological Society is estimating five snow events for the Portland Metro area this Winter with accumulation. If you’re looking for someone to blame, her name is La Nina. Her cold ocean temperatures create lower than usual low land temperatures providing the uncharacteristically messy winter we had last year. The good news is that Skiers and Snowboards will enjoy a season full of the white stuff. 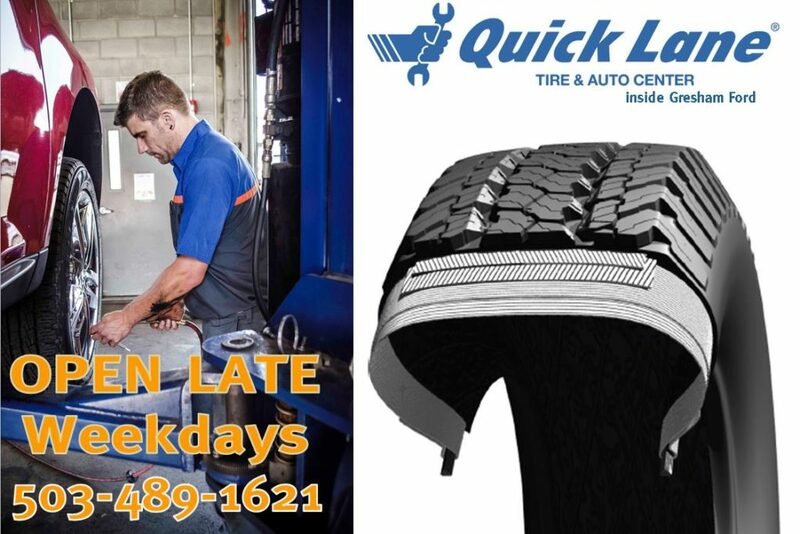 If you still have questions about your Snow Tire options please reach out to one of the Gresham Quick Lane Service Advisers at 503-489-1621 or stop by 1999 East Powell Blvd. Gresham OR 97080. No one looks forward to the day that they realize they need new tires for their vehicle. The Gresham Quick Lane understands and we try our hardest to make it as painless as possible. Right now when you buy four select tires from one of our top name brands you can get up to $140 in rebates when you use a Quick Lane Credit Card. Right now the Quick Lane Credit Card offers 12 months no interest. 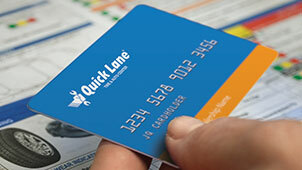 Learn More about the Quick Lane Credit Card. The Gresham Quick Lane will not be undersold. We match and beat tire prices from all the names you know like: Costco, Les Schwab, Walmart and others. Just bring in the price and we will match and or beat the same price on the same tire. 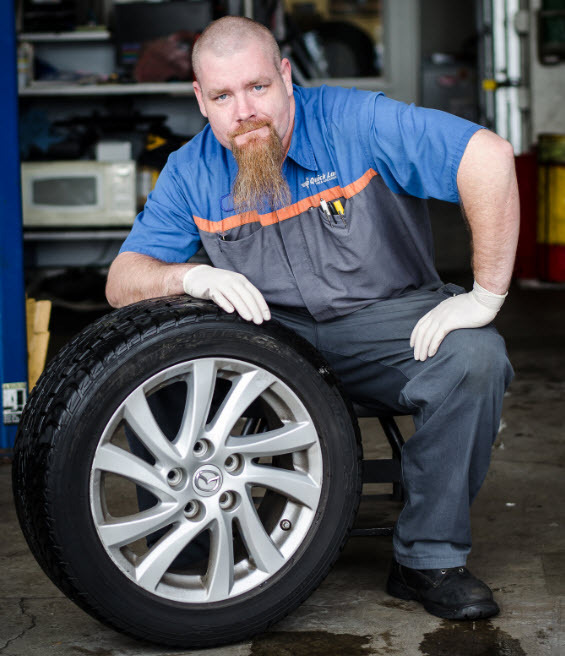 We provide the same service and warranties as all the other Tire Shops in Gresham. 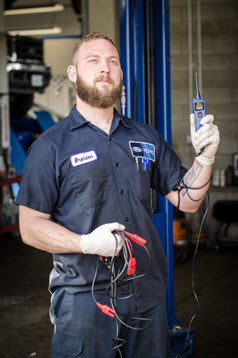 The Gresham Quick Lane wants to be your Tire Center of choice. You never need an appointment and we stay open until 10pm every week night for your convenience. On these name brands: Goodyear, Dunlop, Continental, Pirelli,® Hankook, Yokohama® and Bridgestone. *Quick Lane®-installed retail purchases only. Limit one redemption per customer. 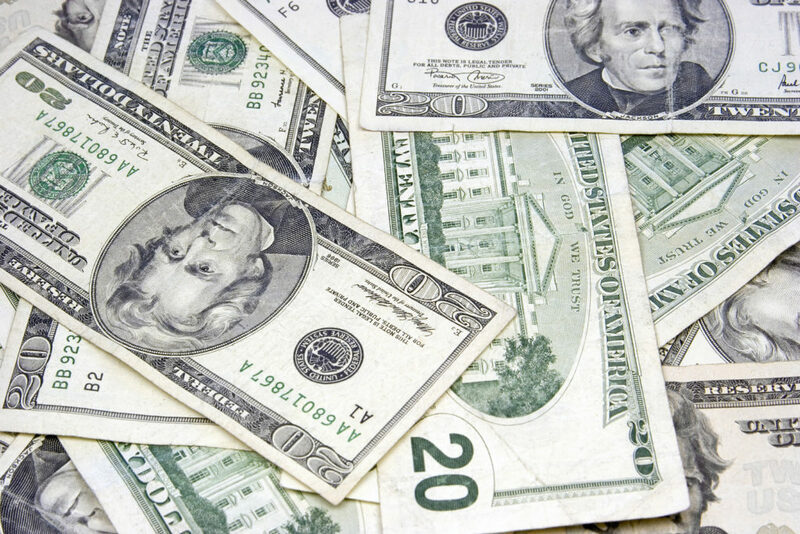 $70 tire rebate includes Michelin.® $70 tire rebate and $70 credit card rebate by prepaid debit card. Offer valid 10/01/17 to 12/31/17.Submit rebate by 1/31/18 by mail-in rebate form or online at quicklane.com. Cannot be combined with any other tire manufacturer-sponsored or Quick Lane Credit Card rebate/offer. Quick Lane is a registered trademark of Ford Motor Company. See Quick Lane® Service Advisor for vehicle applications, rebate and account details. Offer valid with coupon. Offer expires December 31st 2017. Your brakes are one of the most important safety systems of any vehicle and need to be maintained. The Gresham Quick Lane provides a great price with a LIFETIME BRAKE PAD GUARANTEE on all brake replacements. 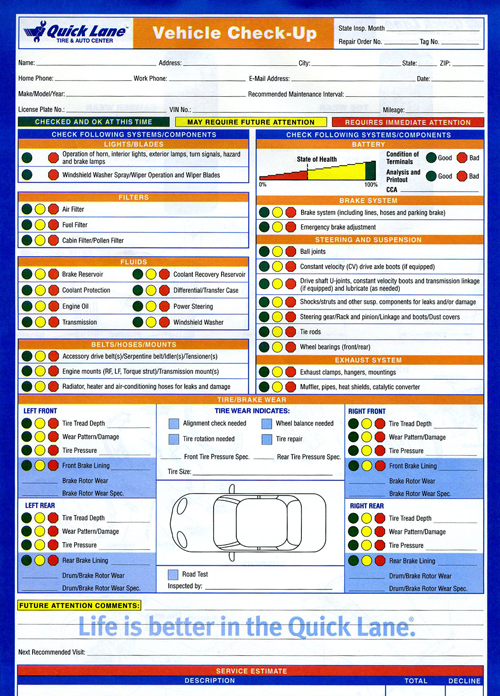 In fact every time you visit the Quick Lane you are provided with a vehicle report card to help keep you aware of the wear items of your car, like the brakes. No on likes surprises and we do our best to keep you abreast of the wear items of your car. 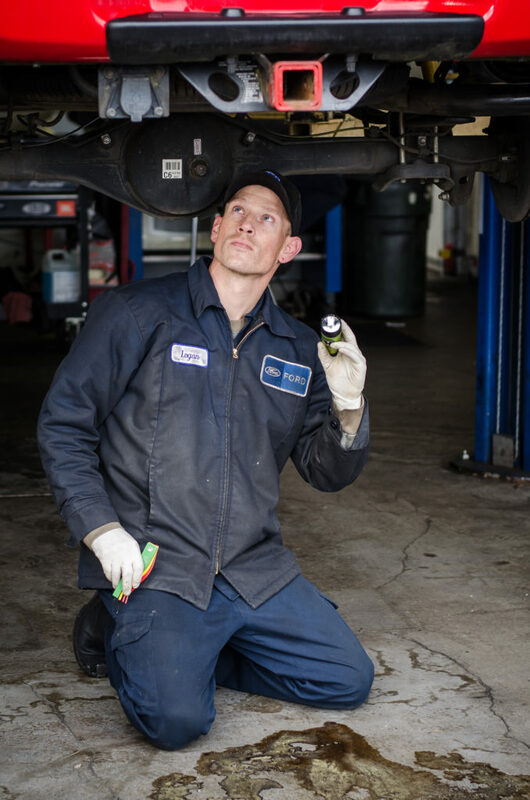 If there are multiple repairs needed, our Service Advisers provide you with a priority list detailing what should be done right away to keep you safe and which items can wait. Visit us at 1999 East Powell in Gresham or call 503-489-1621 for more information. See your Service Advisor for details. Pricing may vary. Per axle price based on most vehicles. Exclusions apply. Valid at the Quicklane at Gresham Ford. Includes 84 month warranty, standard. 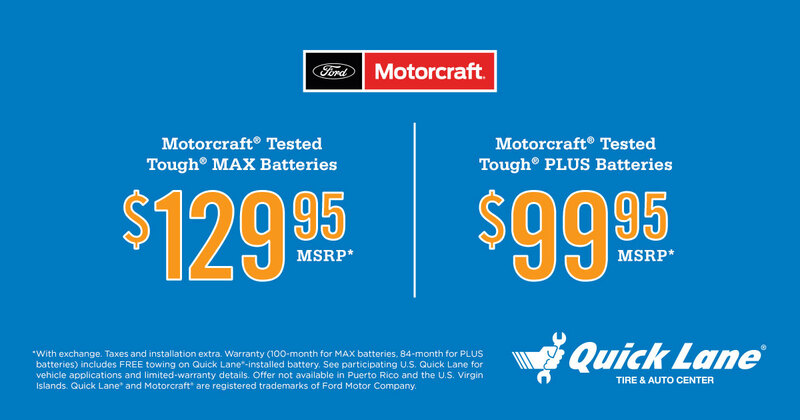 This is the auto battery you need at the price you want. See your Service Advisor for details. With exchange. Warranty includes FREE towing on Dealer-installed battery. See your Service Advisor for complete details. Valid at the Quick Lane at Gresham Ford. When you use your Quick Lane Credit Card to make a qualifying purchase of $250 or more. Subject to credit approval. Rebate valid on qualifying purchase before tax; not valid on prior purchases. Complete purchase must be made on the Quick Lane Credit Card. Offer valid through 3/31/18. Submit rebate by 4/30/18 by mail-in rebate form or online at quicklane.com. Limit one $25 mail-in rebate per visit. Rebate by prepaid debit card and cannot be used for payment to the Quick Lane Credit Card. Cannot be combined with other Quick Lane Credit Card offers.